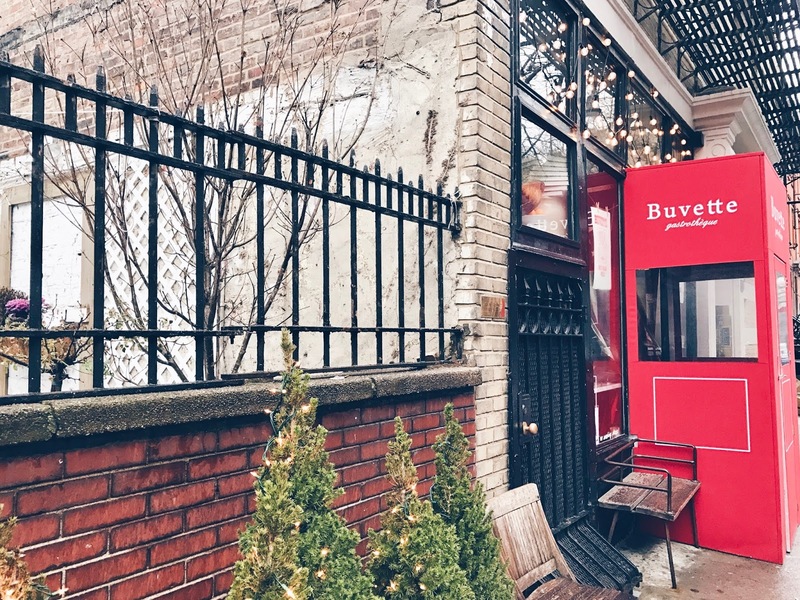 Buvette is one of those brunch classics in New York that everyone seems to go to at least once during their stay in the city. Which is funny, because it's French, not American. 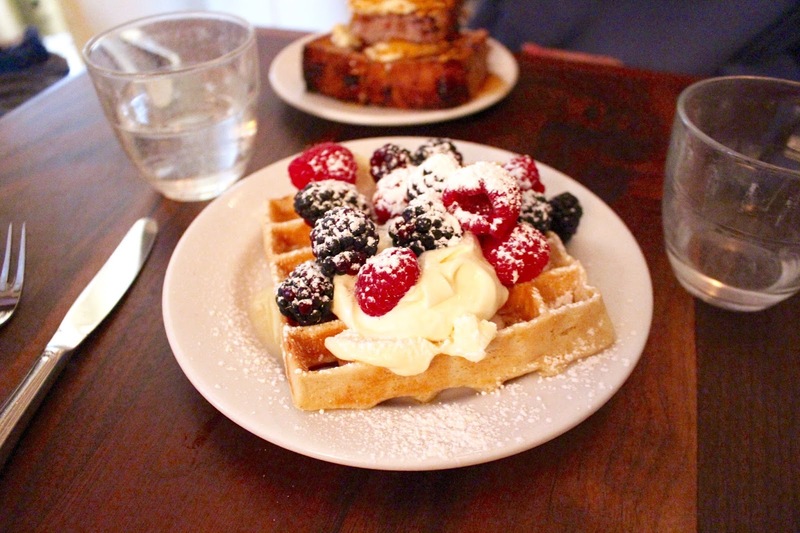 It's located in Greenwich Village, in a charming little street. 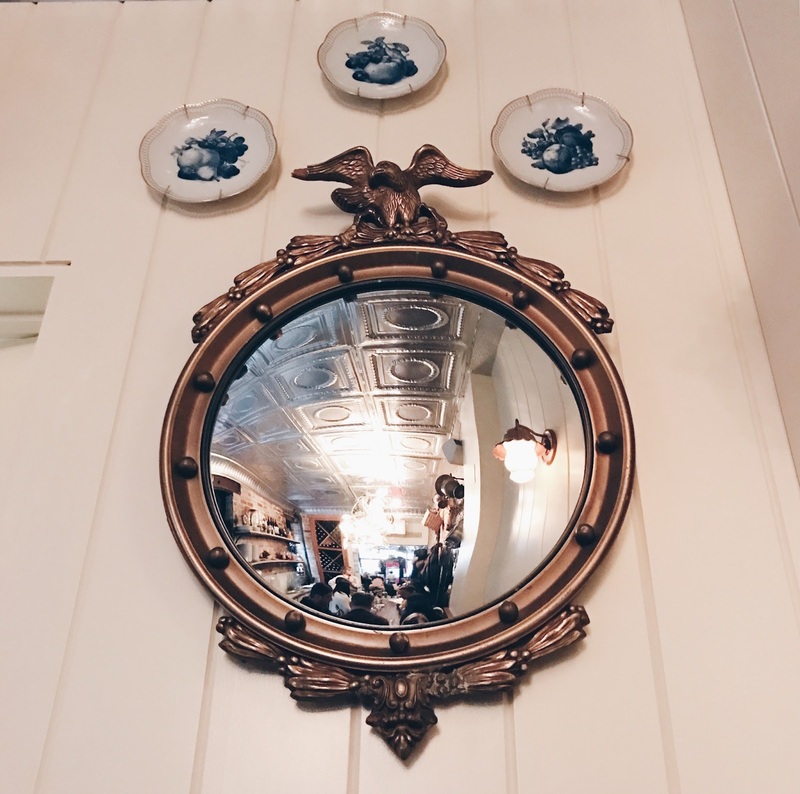 Last Sunday, I went with two friends and we had one of the most decadent brunches I've had in a while! 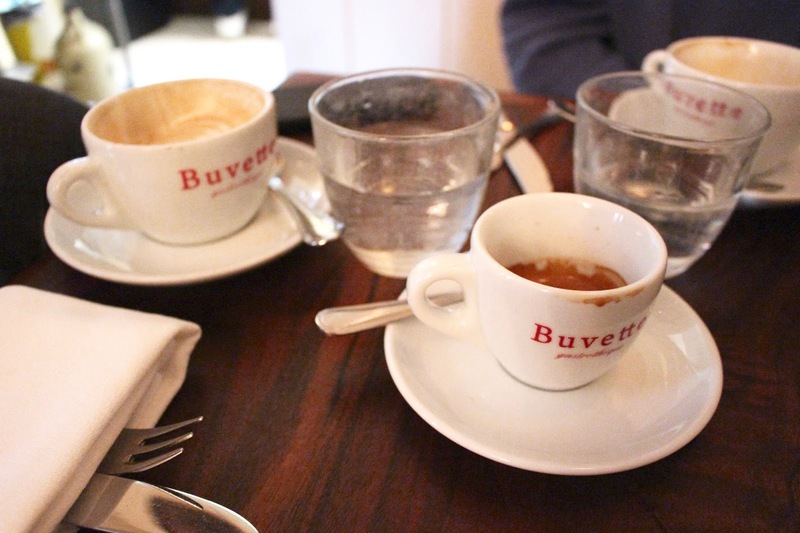 The only problem with Buvette is that it's incredibly popular. Luckily we met up early on a Sunday (10 AM) and got a little table right away, but when we left there was a big queue outside. So come early during the weekend or go on a weekday. We got a tiny table at the back near the kitchen, so I got to have a peek inside from time to time. 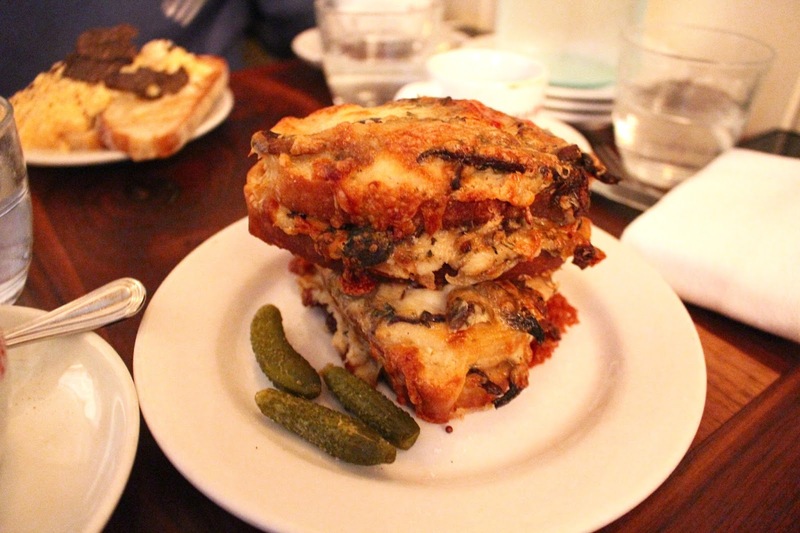 Because this is a Parisian-style restaurant, everything is absolutely tiny, from the menus to the croissants to the cutlery and plates. It's kind of cute, but don't be surprised if you order croissants and get two tiny mini croissants! 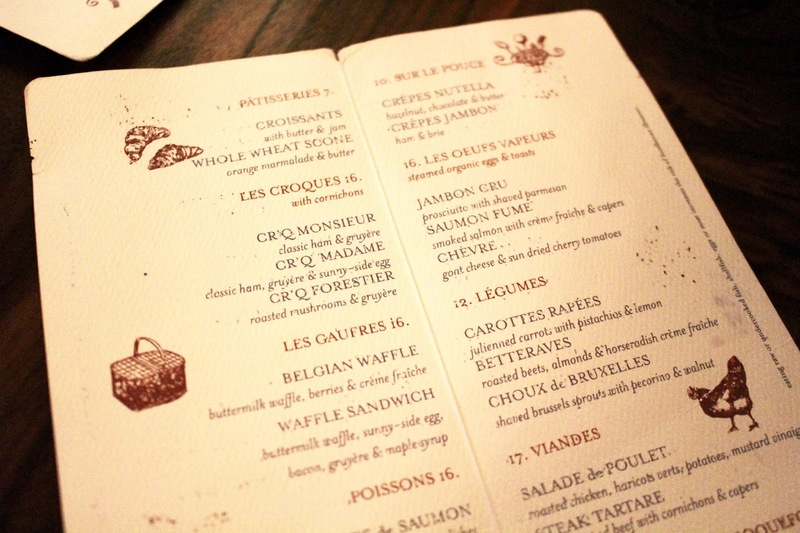 I ordered the Croque Forestier which is a croque monsieur with gruyere cheese and mushrooms. 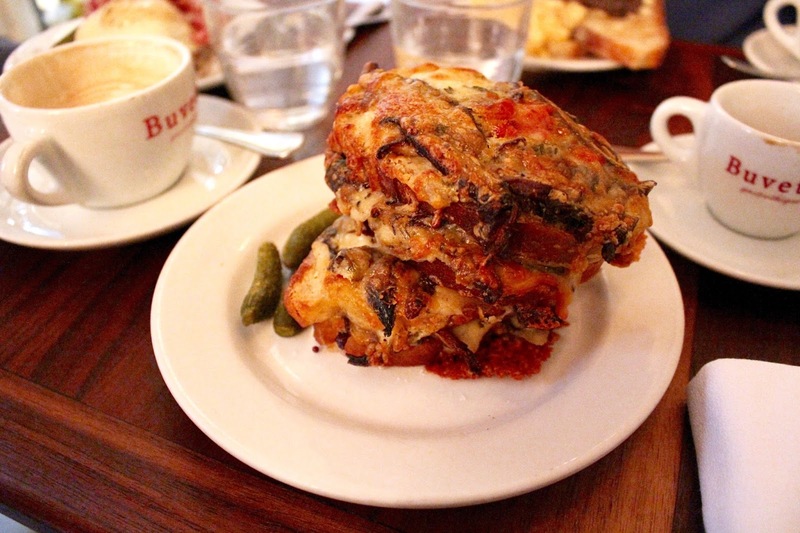 This thing was probably more cheese than bread so it was totally delicious. Trust me, it tastes better than it looks. I'm not sure which mushrooms were in there but I think it was a mix. You know when you make a croque monsieur and the cheese around the crust becomes all crunchy? Well this was like that, but then ALL OVER. I don't often eat cheese, but when I do, I always want it to be like this. 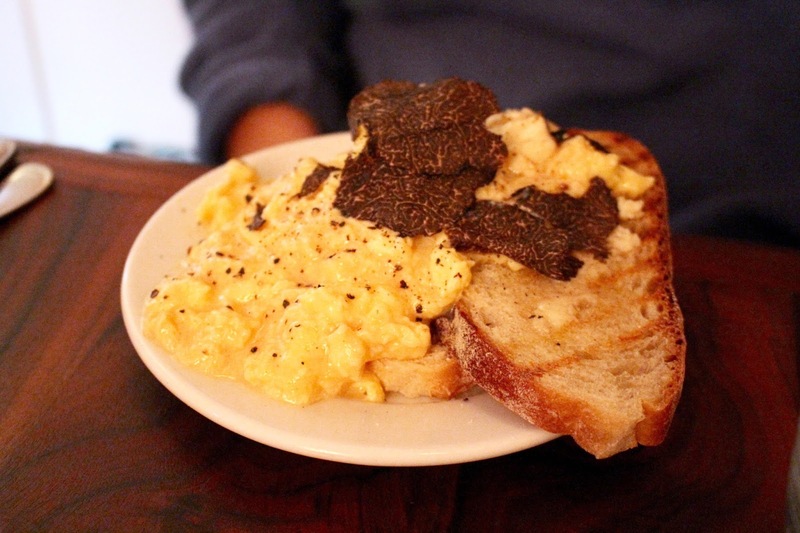 One friend chose the scrambled eggs with toast and black truffle. Very decadent! 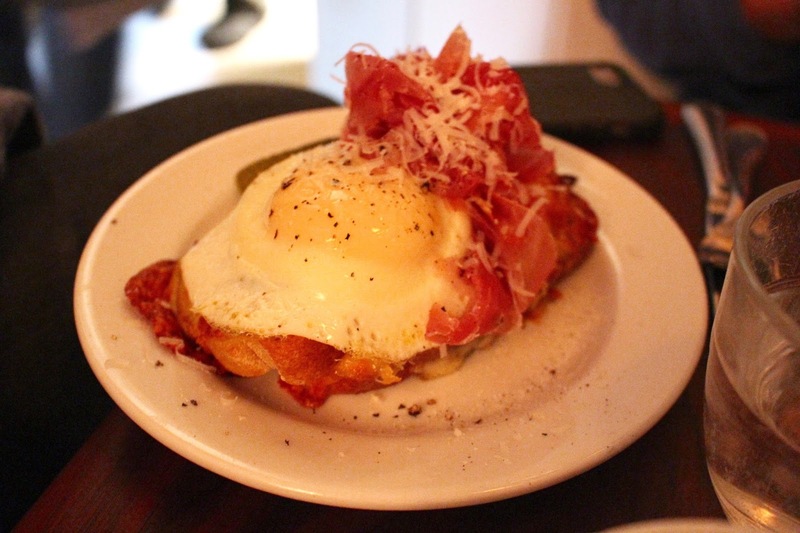 My other friend took a real classic, the croque madame. I must say that if you don't eat eggs or meat, there aren't many options to choose from. And if you're 100% vegan (and not cheating all the time like I do), this might not be the place for you. After our croques it was time for round two because hey, it was a Sunday. 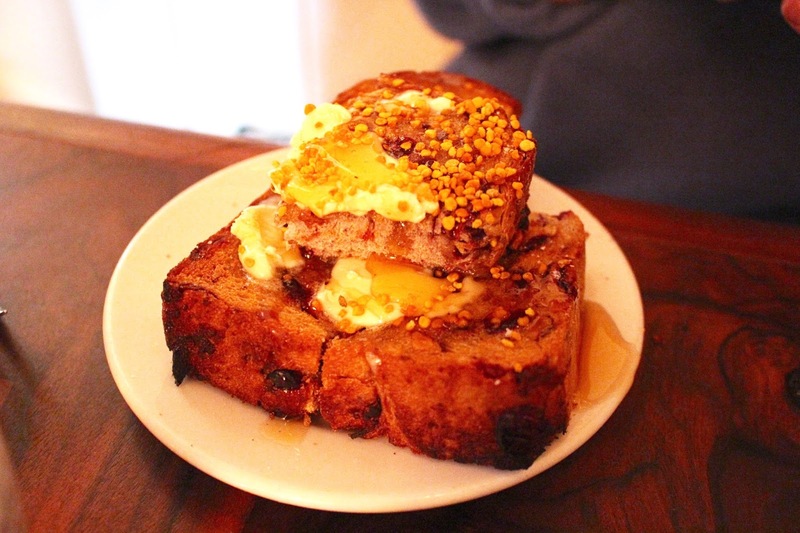 We ordered the Belgian waffle and the special that day which was toasted cranberry bread with butter, mascarpone, beepollen and honey. 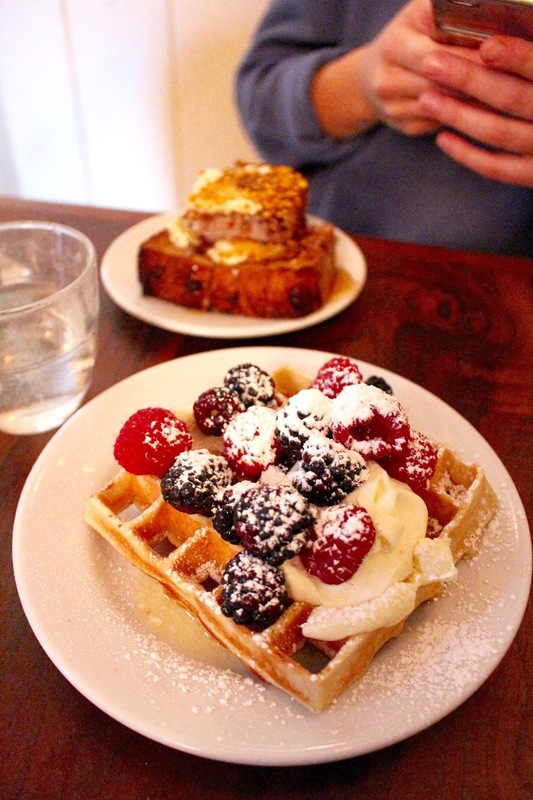 Although I thought I'd love the waffle, I actually liked the cranberry bread more. Such a delicious combination of flavours! 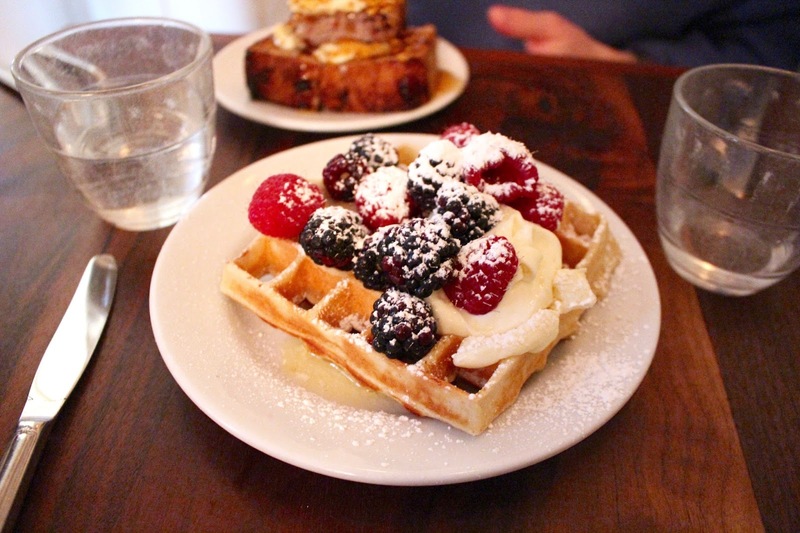 The Belgian waffle is really popular at Buvette, and while it's nothing like the real deal, it's tasty nonetheless. 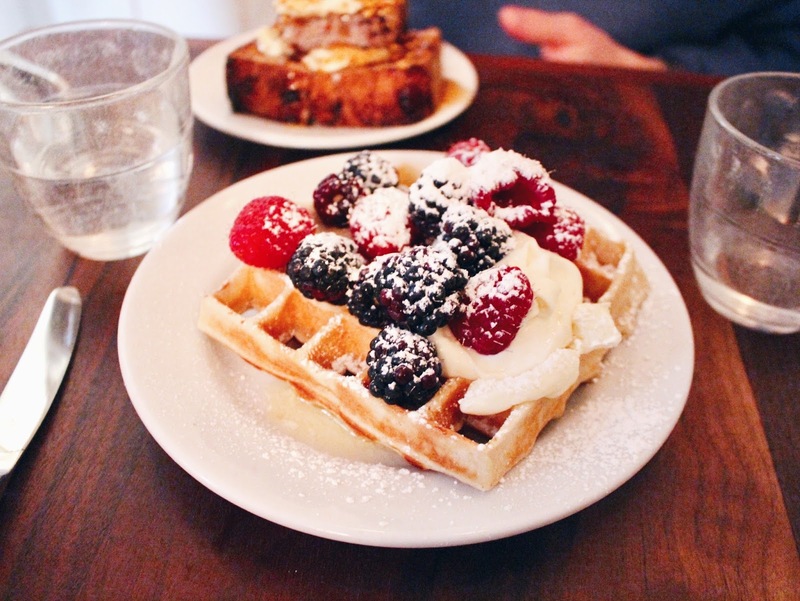 The crème fraîche and giant raspberries do the trick! 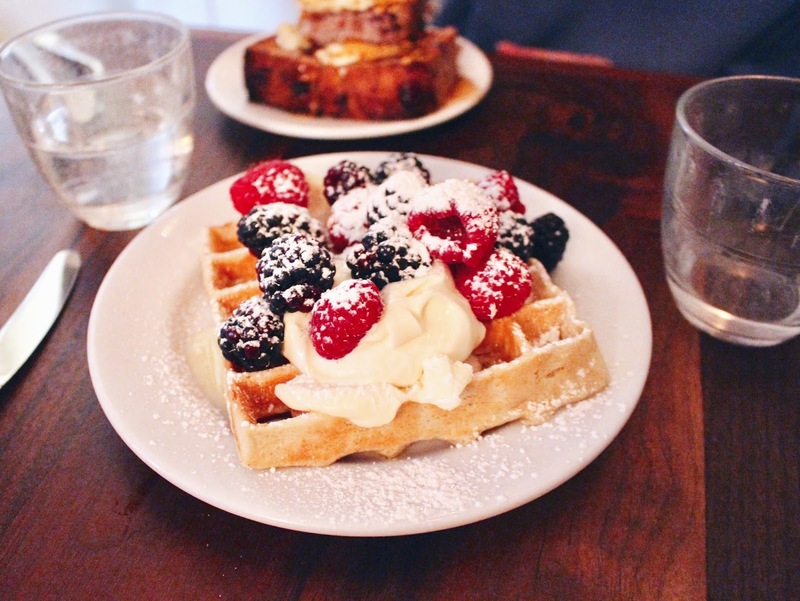 Overall, if you're looking to have a mega decadent Sunday brunch, Buvette is the perfect spot for it! 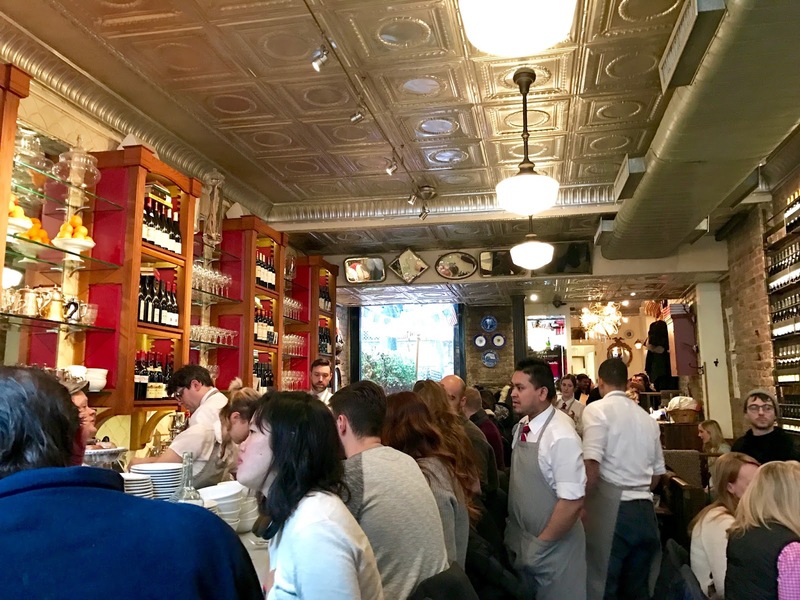 For a short while, you feel like you're sitting in some Parisian brasserie, minus the arrogant waiters (but with Parisian prices $$$). During spring/summer you can also sit outside on the little terrace, which must be just lovely. Just make sure you go early or at a more quiet moment of the day and you'll be fine. It's not a place for big groups, so bring one or two friends along and you'll have a good excuse to share some desserts!